Looking at a new pair of Canada-friendly winter boots instead | Save. Spend. Splurge. Okay, so I really wanted that leather envelope clutch, but I have other things to use my money for. (I even saw a great looking clutch for $281 but then cringed at the pricetag, and talked myself out of it because it wasn’t a necessity). Since I own a pair of MUGGs I bought from Costco, which are not as nice as real UGGs, I’ve noticed how great they are to wear around the house. MUGGs = Fake UGGs 😉 Also, I wear them around the house because my dad believes in conserving heat, and therefore my entire house is kept just a degree above Siberia and I need boots to keep my toes from falling off. There are no T-shirts and shorts during Autumn/Winter/Spring here, no sirree! Even BF has remarked on how cold my house is (read: how cheap my dad can be). Which is why I started looking at UGGs as an option…… I love how warm they keep my feet. (There’s a short version, but I figure for $40 extra, I might as well get more boot for my buck and keep my calves warm too.) Tell me that doesn’t look sturdy and comfortable, like you could sleep in that boot if you were miniature! No, don’t tell me. I kind of want to buy them. Enable me instead. The reviews are promising too. Those Australians really know how to make their stuff. WHERE CAN I GET SOME DEALS? COUPONS? Am I able to even hope for some deals or coupons? I am awful at searching out deals because I am generally quite suspicious of deals, lazy and/or too impatient to wait. Therefore, I normally buy as I see, and buy as I want things. HELP! If it helps, I saw them at The Bay. Does The Bay offer deals from time to time? UPDATE: At Soft Moc, they sell them and they are $399.99. With a 10% off coupon, I am looking at $408.60! Thanks to Fabulously Fru-Girl 🙂 I’d still like to get more of a savings, but that’s a great start. Where else am I going to get the money? Well, I have some stuff on consignment waiting to sell, so that’ll be added to this total once they sell. *crosses fingers* I have told myself that if I spend UNDER the $900/week I’ve budgeted for Hong Kong, I will add those differences to this total. If I spend under (which means eating less). I am also well aware that I am being a little ridiculous about this because I don’t need to save the money, but I’m really trying to exercise my SOS (Saving-for-Something) Bone™ (lots of PF bones to work out) here. Just because I have the cash, it doesn’t mean I can’t try and save an extra amount to cover them. 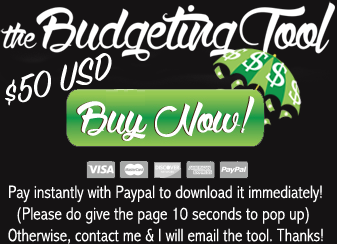 *Oh and for the smartphone, since I had to pay $300 to get out of the contract, technically it is not money that I “saved”, but I am taking some budgeting liberties here. **Thanks goes to PK over at DQYDJ (Don’t Quit your Day Job) for reminding me that Virgin Mobile exists in Canada. Their $35 Canada-Wide plan (no stupid zones) that BF and I will share (treating it like our landline), looks like a great deal. I will end up spending about $20/month for a cellphone. Have you checked with a Sporting Goods (brick & mortar) store? 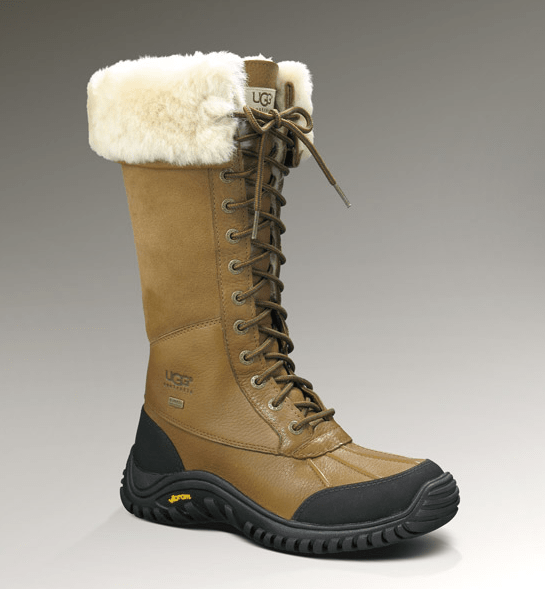 We have REI in the U.S. and they have some great winter sport/snow boots. Also, my Baffin Arctic boots (rated to -40F) are a mens boot! I wear an 8.5 and got a men’s 7 and they fit great with socks! I am putting that on my list to do!! BF also suggested snowboots which are decidedly uglier. BF (whom I trust with quality matters), said he bought 2 pairs of SOREL boots and within the first Winter, they cracked. I just want a good pair that is waterproof, WARM (I have icicles for toes) and comfortable.. the UGGs look good so far, but I’m planning on going on a boot-trying expedition to make sure. I can wait that long. I can wait until mid-November!!! Thanks for the tip. I’ll look out for a deal. I’ll also try the short boot and see if it’s high enough without folding it down. Nope, gone 🙁 Thank you though! I am looking into those Stellas.